Greg Gibbons, PE was selected by the Capital District Chapter of The New York State Society of Professional Engineers (NYSSPE) as the recipient of Chapter’s 2018 Young Engineer of the Year award. 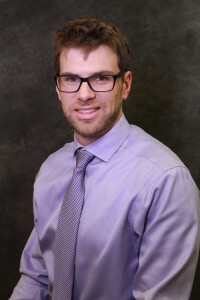 Greg graduated from Clarkson University in 2009 with a Bachelor of Science degree in Civil Engineering. While a student, he was a member of the Delta Upsilon fraternity. He was one of the all-time leading scorers on the Clarkson men’s lacrosse team, earning USILA All-America honors, and three-time Liberty League All-Star recognition. He was the Clarkson University Male Athlete of the Year in 2009. Now he is a certified official for high school lacrosse. Greg has nearly nine years of engineering experience at Creighton Manning Engineering, including highway and trail design, transit infrastructure, lighting design, and construction inspection. He has been the project engineer on several award-winning projects including Fuller Road/Washington Avenue intersection reconstruction; Patroon Island Bridge rehabilitation; and Round Lake Road reconstruction. He has developed a particular expertise in lighting design and permitting for linear utility projects. Greg became a licensed professional engineer in 2014, and is a member of ASCE. In addition to Greg’s responsibilities on projects, he has been the captain of Creighton Manning’s CANstruction team for six years, which benefits the food pantries of the Capital Region. He is also the team leader for our Adopt-a-Highway program and participates in the CDPHP Workforce Team Challenge.